It’s day 10 and I feel great. No energy crashes, I even slept insanely well last night and woke up from an awesome dream! 1 quart, Basic Balance Smoothie from Victoria Boutenko’s Book titled, “Green Smoothie Revolution: The Radical Leap Towards Natural Health.” This drink seriously cleansed out my stomach, I really needed something like this to get my bowels going. 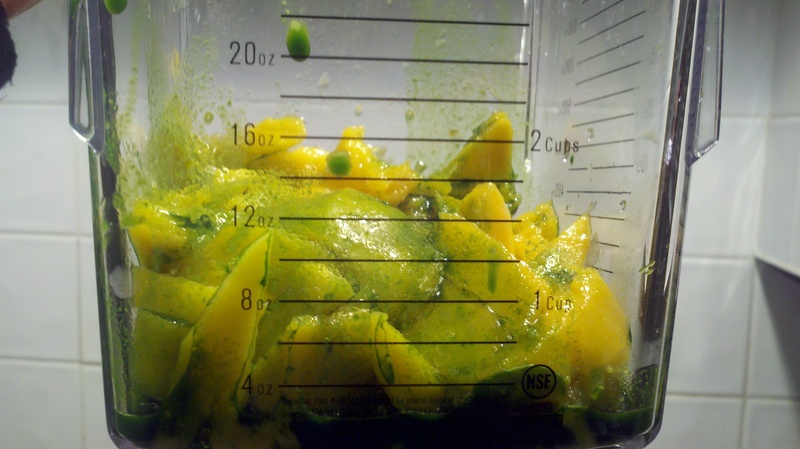 The smoothie almost completely tastes just like mangoes! The texture is like a pudding, and is sweet like one too. I ended up having this for my breakfast and lunch because it is that filling. 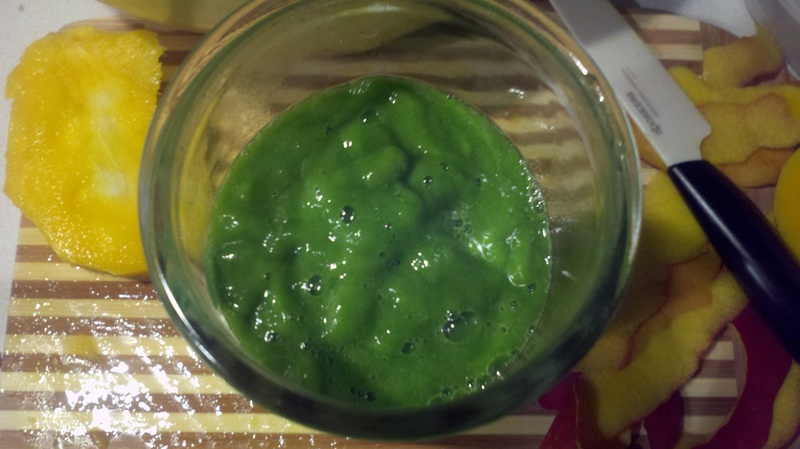 There weren’t any directions for this smoothie, but what I did was; juice the kale, then I added it to the chopped up mango and water. 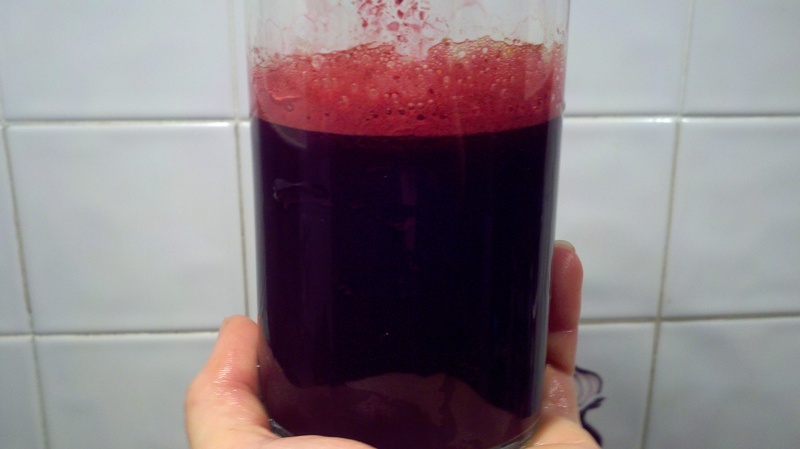 Around 12 oz of 1,2,3,4 Beet Juice! Another beet concoction I whipped up. If you aren’t a fan of spinach but want the nutrients juicing spinach with other veggies is a great way to disguise the taste. This juice is especially sweet. I had some around 3:30 when came home from work, I typically have a snack around this time it’s a fantastic energy boost. Okay, so it’s time to talk about toilets! I remembered some interesting information I read while talking to a coworker about how the Basic Balance Smoothie was really getting my intestines working. If you want to learn more about squatting and squatting platforms please check out these links.